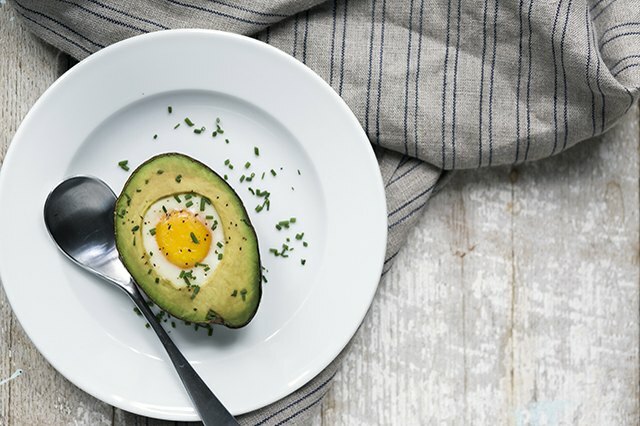 Did you know you can bake an egg into an avocado? If you're a fan of high protein, low carbohydrate breakfasts that are full of healthy fats and nutrients, this will be right up your alley. It comes together quickly, and works as a standalone meal, a snack, or as a component in a larger breakfast/brunch spread. 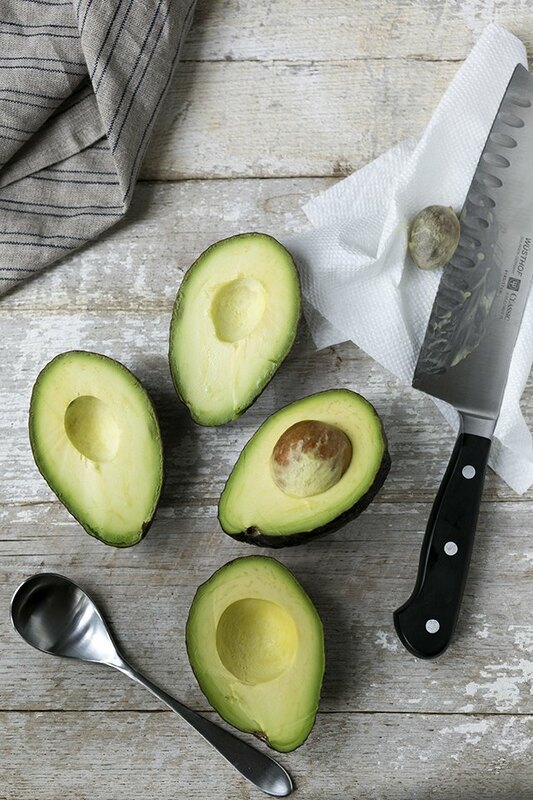 It's important to use avocados that are ripe enough to eat, but that won't turn mushy when you slice through them. They should be at that perfect level of ripeness where they are bright green with the slightest big of give when you press on the skins. 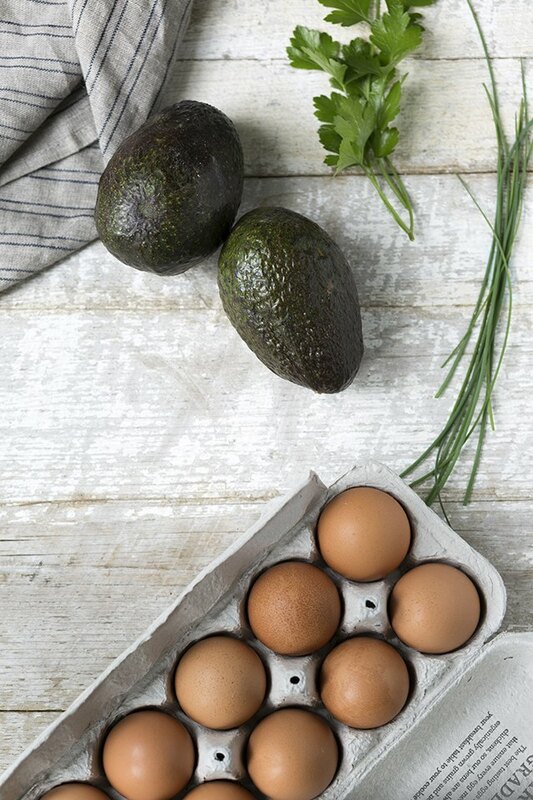 Smaller eggs will fit well in the avocados, but there's no reason to buy a dozen smaller eggs if you already have large eggs on hand. Fresh herbs are a nice optional garnish, but feel free to get creative with a drizzle of your favorite hot sauce, balsamic reduction, or maybe some crumbled cheese. Preheat the oven to 425 degrees Fahrenheit. Slice the avocados in half and remove the pits. 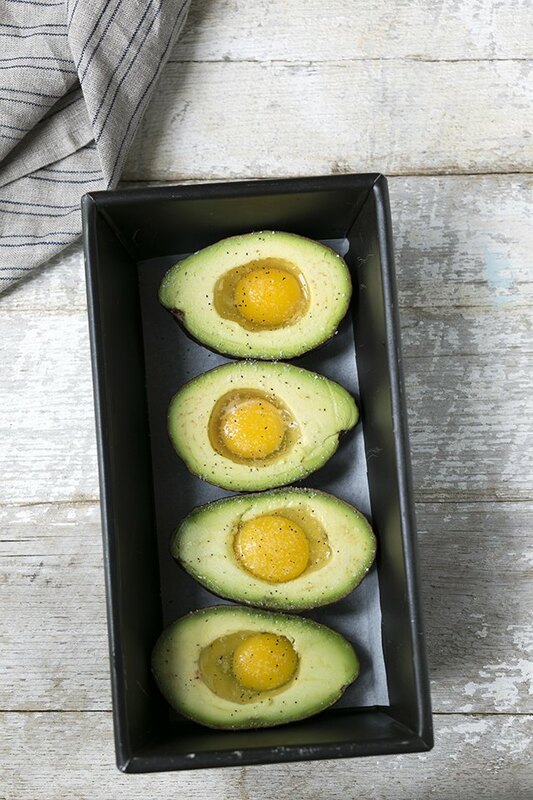 If necessary, use a spoon to scoop out 1 to 2 tablespoons of the avocado flesh to make more room for the egg. (As you can see from the above photo, avocado pits vary in size). You can also use a regular baking sheet or even a cake pan. 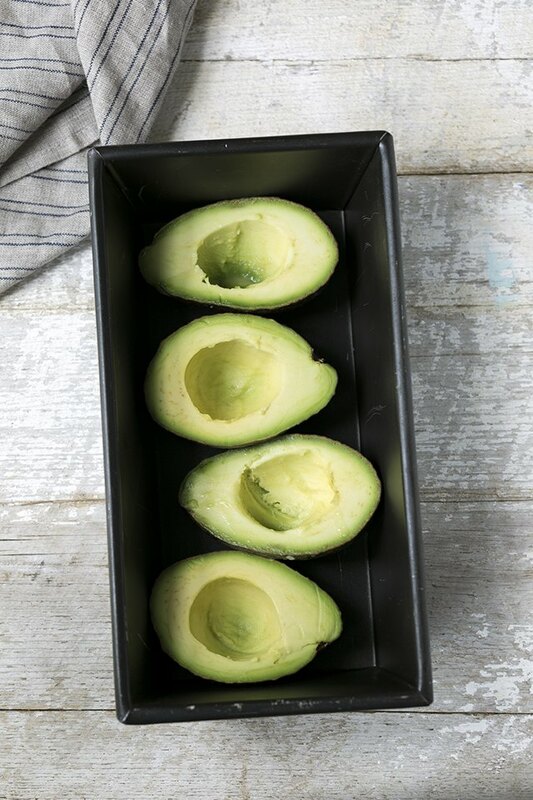 Because the avocados are round, try to use something where you can line them up securely to prevent them from tipping over. Lining the bottom of a pan with dried beans can help hold the avocados in place, if necessary. You might also want to line the bottom of the pan with parchment paper, just in case any egg spills over. To avoid a potential mess, I recommend cracking the egg into a separate ramekin or bowl, and then spooning the yolk into the avocado first. Next, add the remaining egg white. Top liberally with salt and pepper, and then bake until the whites have set, approximately 15 minutes. Top with garnishes, if desired. Healthy Family Quick Tip: Eat More Eggs!